When it comes to maximizing your weight loss on the HCG Diet, there are a few tools that are absolutely essential. 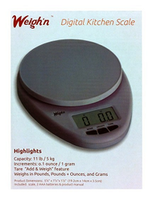 Bathroom Scale — You HAVE to have an electronic bathroom scale to get through the HCG Diet. And, it has to measure to the tenth-of-a-pound. If your scale doesn’t measure accurately enough and you only lose .1 or .2 lb for three days, you may think you’ve stalled on HCG when you’ve really just had a few slow days. No one wants to do an HCG mini-steak day if they don’t need to. Kitchen Scale — Again, you HAVE to have a good kitchen scale. Measuring your HCG protein portions is so important to your success on the HCG Protocol. If you have no way of knowing that your HCG meat is portioned to the right size, you’ll never know if you could have lost more weight or if you could have been eating more. Tape Measure — Ok, maybe it’s not “absolutely essential,” but if you want to know how much progress you’re making, it can be. Plus, during the times that the number on the scale isn’t moving much, many people have found that they are still losing inches on the HCG Diet. So not only does this tool help you track your progress, it can also provide a lot of motivation along the way. 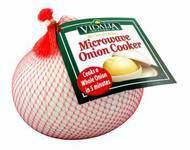 Microwave Onion Cooker — If you like onions, you may find them tricky to cook while on the VLCD especially if you’re away from home. The microwave onion cooker is the perfect solution for this. Just throw in an onion, pop it in the microwave for a few minutes, then, voila! You’ve got yourself a delicious, ready-to-eat, fat-free, HCG Diet-approved onion. 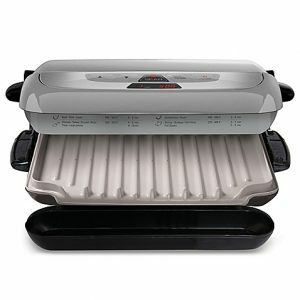 George Foreman Grill — Some people find that they can’t function on the VLCD without a George Foreman Grill. Its non-stick surface makes oil-free HCG cooking so easy, and cleanup is minimal. Not to mention, most food is ready in 5 minutes or less. It really is a convenient tool for simple cooking on the HCG Diet. It just so happens that we have some of these products available on our website. Check it out! Which HCG Diet tool(s) can you not seem to live without?